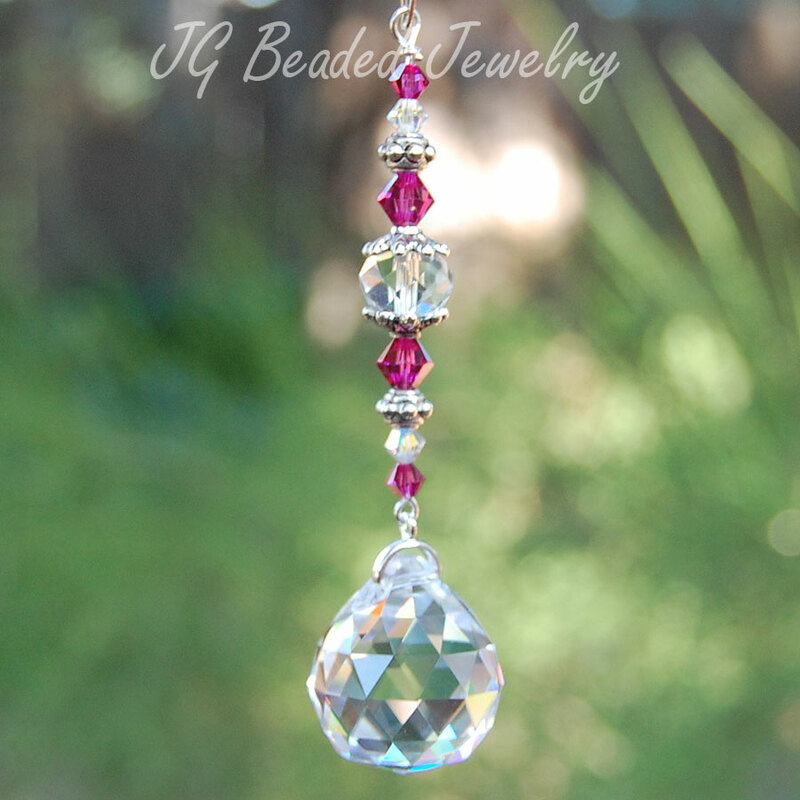 Gorgeous fuchsia Swarovski crystals embellish this prism crystal. 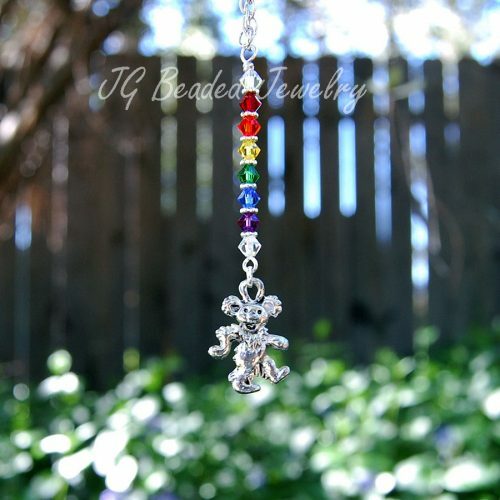 Hang it wherever you choose! 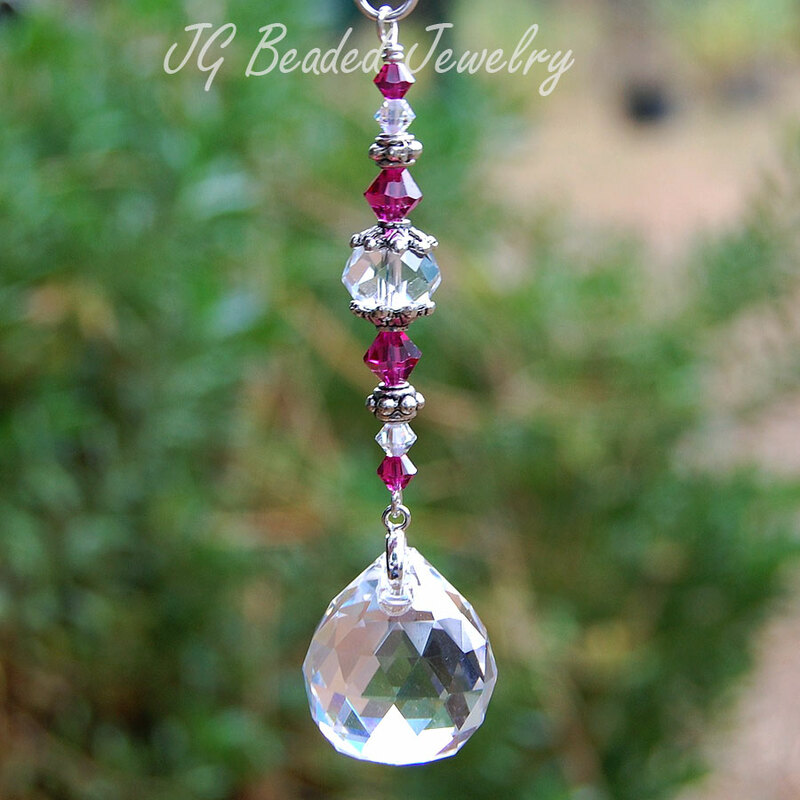 This fuchsia crystal car charm is the perfect size for the rearview mirror in your vehicle, but is also great for a sunny window indoors! Handcrafted and wire wrapped with silver wire, adorned with a quality 20mm faceted German crystal, fuchsia and iridescent Swarovski crystals, faceted clear crystal in the middle, fancy silver beads and bead caps. 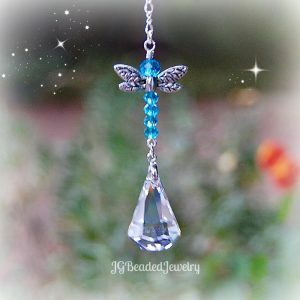 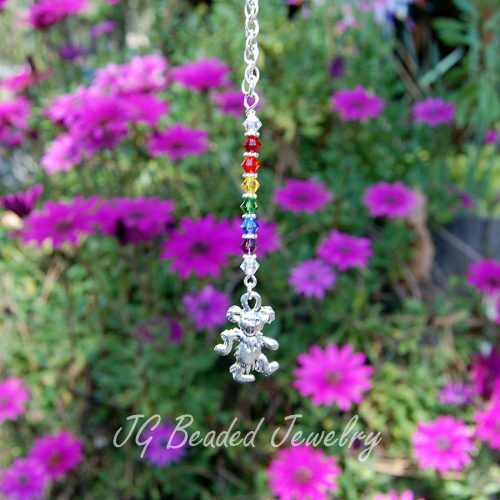 Hangs approximately 3.25″ and comes on a silver chain with a clasp (for the rearview) or a 6″ chain with ring for hanging in the perfect place!